Salt Spring Island Community Services began as a grassroots organization by a dedicated group of community volunteers concerned about the support to their fellow island residents. It became a Society in 1975 with a small collection of services established itself in the original Lady Minto Hospital. One of the first programs was the “Achievement Centre”, an employment program for mentally challenged people which has evolved into the current Community Initiatives program. The youth and family counselling program was begun in 1983 as part of the high school “Gipsy Program” and continues today. Other services offered in the early days included public showers and lunches for community members in need. The building was even home to a free store. 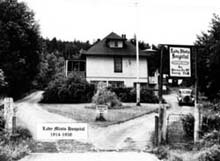 Salt Spring Island Community Services is located in the building that was the original Lady Minto Hospital (1914-1958). Dr. Lionel Beech donated the land for the hospital, and he was the its first physician. 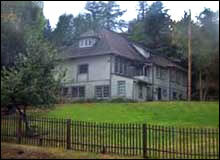 The hospital moved from its current site in April 1958, and from then until 1975 the building was used for various purposes, including functioning as a boarding house for Outer Gulf Island students and housing a preschool. Today Community Services is a vibrant organization with over 70 staff and 100 volunteers serving the Gulf Islands communities with 35 service programs. Programs and activities change and evolve, but the core elements of quality service delivery and supporting community goals remain constant. Our staff and services are now located at several sites on Salt Spring and the other Gulf Islands, including numerous mobile community-based workers. Salt Spring Island Community Services receives funding from a variety of sources including government funding, foundation grants, private donations and service contracts.